or use old school baby products that we once thought were safe. Like Baby Powder, which has talc and other unfriendly ingredients in it. That’s why I love Ora’s Amazing Herbal Blissful Earth Body Powder. 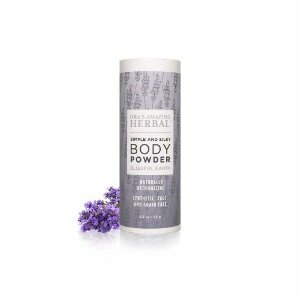 “Grounding, soothing and refreshing, this natural body powder is scented aromatherapeutically with Vetiver, Lavender, and clary sage. This silky powder absorbs moisture, balances pH and soothes irritated skin.” So get with this Adult Powder and let someone Baby you…..